❝ A food company recently issued a recall of hot dogs and corn dogs after its facility tested positive for Listeria. On July 19, Oklahoma’s Bar-S Foods Co. issued a recall of more than 370,000 pounds of chicken and pork hot dogs and corn dogs. Bar-S Foods made the decision after multiple samples taken throughout its facility tested positive for Listeria. 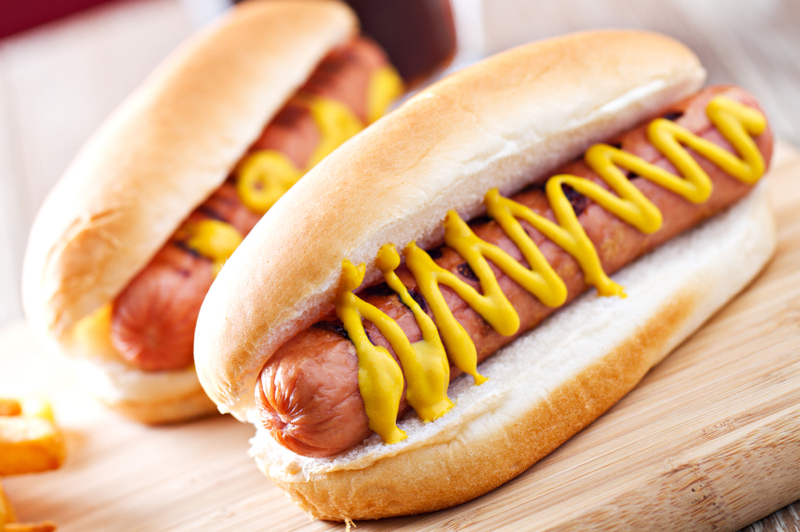 As of July 22, no illnesses have been linked to its hot dogs. ❝ This is a prevention-based food safety approach in action. When routine tests of the facility environment suggested that the hot dogs might be contaminated, Bar-S Foods made immediate and decisive moves to protect consumers. The company’s response was consistent with the comprehensive guidance for controlling Listeria issued by the U.S. Department of Agriculture’s Food Safety and Inspection Service. FSIS regulates meat, poultry, and egg products — approximately 20 percent of the U.S. food supply. In addition to regulations, the agency publishes guidance documents such as the one addressing Listeria, which spells out what concrete steps for companies should take to test for Listeria contamination and what they should do if they find it. ❝ Enforcement of FDA’s preventive controls rule — mandated by the FDA Food Safety Modernization Act — will begin in September. These prevention-based regulations require that processing facilities under FDA’s purview develop a food safety plan that identifies hazards, requires measures to minimize them, and establishes procedures to monitor the hazards, correcting them if they prove ineffective. Moreover, FDA’s regulations indicate that environmental testing for a pathogen such as Listeria monocytogenes or an indicator organism, such as Listeria species, should be done if contamination of a ready-to-eat food by this pathogen is likely. Beyond the preventive controls rule, however, FDA should follow the example of FSIS and provide the food companies it regulates with information on when and how to sample and test ready-to-eat products and processing facilities for Listeria. Such a detailed guidance document would hopefully lead to fewer recalls and outbreaks—the ultimate goal of FSMA. Hey, it’s only been a century or so since regulatory oversight for the American food industry was proposed. You just can’t rush into policies that save lives. Profits come first. NASA’s Spitzer Space Telescope sees in the infrared, and detects dust. Some of this dust defines the blister in the larger cloud (red), while some is coming from the stars ejecting material (green). The overall effect makes NGC 7129 look like a closed rose bud. More than 2,500 people have gathered in Berlin for Eurofurence, a convention for “furries” – lovers of anthropomorphic cartoon animals. Many of those attending Europe’s largest “furry” convention wear life-sized fantasy animal costumes, while others are fans of those who wear fursuits. Members of the furry fandom often create their own “fursona” – an animal character. This avatar allows them to express characteristics quite different from their own personalities. Although around 80% of furries are male, many of their avatars are of a different gender. Hope the weather ain’t too hot for furry suits.